Be prepared, and get ready to go prepaid. The iPhone is coming to two of the largest prepaid wireless companies in the U.S. at the end of this month. You’ll have to pay more upfront for the smartphone, but in the long run, it ends up being cheaper. The iPhone battle is coming to prepaid carriers in the U.S. and customers are already lining up to get in on the deal. 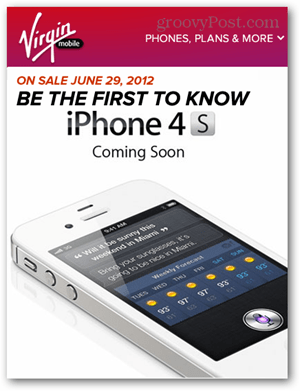 Both Virgin Mobile and Cricket Wireless will be offering the iPhone 4S contract-free starting June 29, 2012. This means there won’t be any two year commitment and service prices will be lower than what the “Big Four” have to offer. This also means there won’t be any phone subsidies for those who don’t like buying a phone out right (we already talked about why that might not be the best idea anyways). *Note that the 8GB phone is an iPhone 4, not the 4S. Cricket and Virgin Mobile have a history of carrier-specific MEID numbers attached to their phones, so bringing in a third party CDMA friendly iPhone you already have might not work out. *There is still no word whether Virgin Mobile will be honoring grandfathered $25 monthly customers who switch to the iPhone. When it comes down to it, it all depends on where you live and how many Talk (voice) minutes you’re going to need every month. If you require unlimited, Cricket offers a better deal. 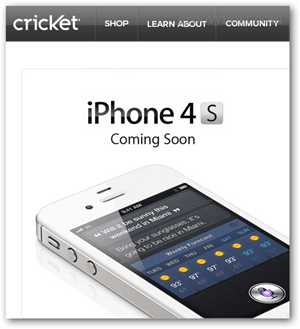 But Cricket doesn’t offer as much coverage as Virgin Mobile — which uses the Sprint network. Make sure to check each services coverage maps. 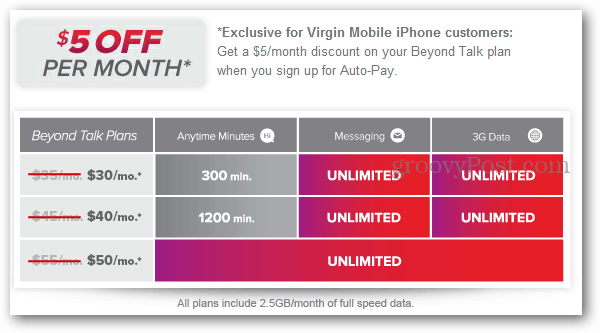 If you prefer to talk and browse the web, the cheaper plans on Virgin Mobile will eventually make up for the higher priced phone upfront. Overall both services are reliable companies with reliable service. If you’ve always wanted an iPhone without paying the high monthly fee to use it, now’s your chance to go prepaid. I am a firm believer in prepaid cell service. Sure, you pay more for a non contract phone, but depending on the amount of data and voice time you use, in the end you save money. I do anyway. I don’t use a cell enough to justify the monthly charges. And why can’t you activate a phone without being required to have a data plan? There is WiFi everywhere, even out here in the sticks where I live.